UCSA Flu Vaccine Vouchers for 2019 are here! Get your jab before you go home for term holiday so that you can enjoy your break flu-free. 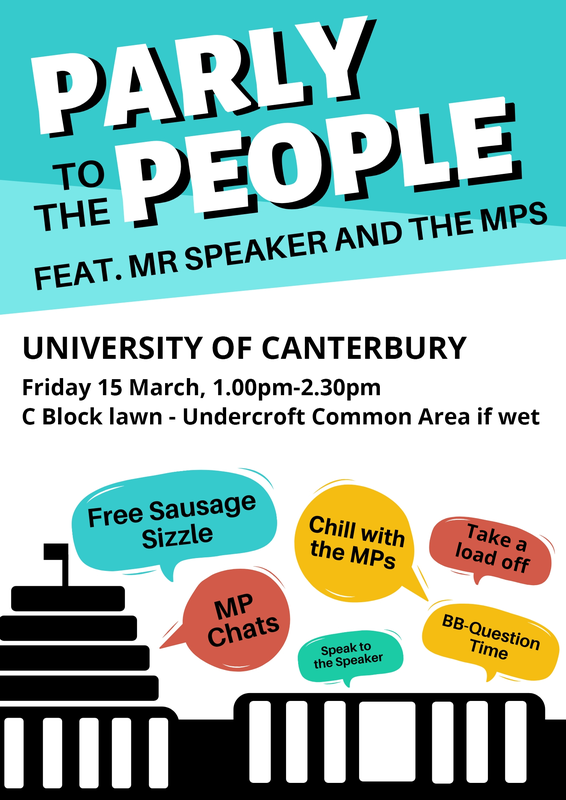 We also don’t want you to come back to Uni with the flu and spread it to your mates! 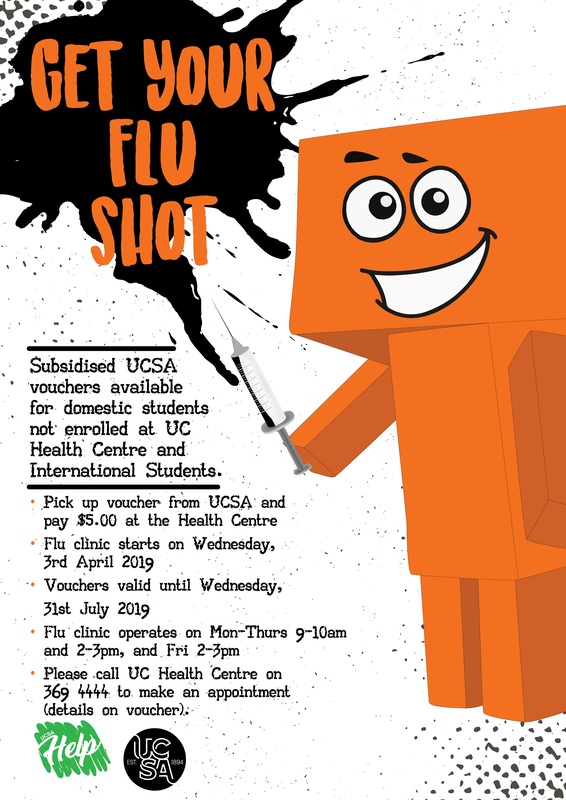 For International students or domestic students not enrolled at UC Health Centre, subsidised UCSA flu vaccine vouchers are available – pick up a voucher from UCSA Reception and pay $5.00 at the UC Health Centre. Vouchers are valid until Wednesday 31 July 2019. Flu vaccines are free to all domestic students enrolled and funded at UC Health Centre. They’re also free to all domestic students with a chronic illness, i.e. asthma (if on a regular preventative therapy), diabetes etc. These students do not need a voucher. The flu vaccine clinic at UC Health Centre starts on Wednesday 3rd April 2019, and operates on Mondays-Thursdays, 9-10am and 2-3pm, and on Fridays 2-3pm. Please call UC Health Centre on 369 4444 to make an appointment (see details on the voucher).